Welcome to the first in a series of conversations with some of my favourite people on the web. My only criteria for this is that they’re people who are interesting, have a story to tell, and that I’d like to have a drink with. Peter and Susana are a Canadian couple who set off last year on a round the world journey that’s taken them to southeast Asia, Australia, London, Italy and Africa over the past eight months. I came across their blog Always Twirling as we were setting off on our travels and enjoyed following their experiences and getting to ‘know’ these fellow travellers. Their images are vibrant, their writing is accessible and friendly, and the site design is fresh and easy to engage with. Peter is an keen user of travel technology and a judicious user of social media. Unlike a *lot* of travel bloggers’ Twitter feeds, theirs is not an endless stream of self-promotion; if they’ve chosen to retweet something, odds are pretty good it’s going to be worth reading. I caught up with Peter and Susana back in Canada on a break from their travels. Welcome back! How does it feel to be in Toronto after 8 months on the road? Peter: It feels strange. You do feel like a visitor in some ways. Since I don’t have a job, it’s also weird to be able to wander the streets without any particular purpose or imperative. I can feel how the road has changed my perspective and overall mindset but I find it hard to describe to others. In some ways even, I feel a bit more distant from my friends now that I’m back than when I was on the road. Susana: Coming home after such a long trip is disconcerting. Everything is familiar but you can’t shake the feeling of being just a bit off balance. It is also, in many respects, strangely lonely. Our 8 months around the world have been absolutely amazing but this experience has also built distance between us and our friends and family. They all unfailingly ask about travels and some are even genuinely interested beyond the required polite inquiry. But try as we might we can’t adequately convey what we’ve seen and experienced in words or even photos. You really had to be there. I also suspect that we simply don’t relate to each other the same way anymore; we don’t have those common threads of job, family, kids, etc. and what we’ve done is frankly something quite foreign to most people. You seemed pretty taken with southeast Asia. Did you find any other destinations as inspiring? And is it possible to maintain that initial enthusiasm for the new as the journey lengthens? Peter: I really loved South East Asia. We just finished our overland trip trough southern and eastern Africa. That really blew our minds. The people, the landscapes, the wildlife. It’s incredibly beautiful but also equally sad in lots of ways. …you can’t find wildlife that comes close to Africa anywhere else. There’s nothing more incredible than watching a pride of lions eat a zebra while a pack of Hyenas stand by, waiting for their turn. It’s thrilling and life affirming stuff really. There have been a few moments of low energy for me. Leaving Thailand for Australia was one moment for sure. But then again, our Africa overland tour threw a lot of energy back into me. I think the change of pace and scenery helped to re-invigorate. It is possible to maintain the excitement but you have to change it up somehow to keep it fresh. Susana: Africa had some awe inspiring sights. I can’t possibly do justice to the beauty of a red African sunset, or what it feels like to be three feet away from a wild lion, or the experience of being surrounded by the never-ending planes of the Serengeti. Australia is also a very special place for me – to dive at the Great Barrier Reef is to immerse yourself in a whole other world full of wonders. Lastly, if you’re looking for art and romance, you simply can’t beat Italy. In terms of enthusiasm, I’ve been able to maintain my level of interest fairly steady. I generally try to approach each country with no expectations and hope to be delighted. Most times it works out. I do have my occasional moments when I’m tired of having to constantly figure out what to do, where to stay, and all the daily basics that you take for granted at home. Whenever that feeling strikes we tend to stop for a few days and give the sightseeing a break to recharge our batteries. Does the reality of long-term travel as a couple match up to your expectations? Have you had to re-adjust your goals or priorities as a couple or individually? Peter: I’m not sure that I really had expectations. Actually, I know I didn’t which looking back seems so naive. From the traveling perspective, our goals and destinations remain the same. We didn’t pick destinations where one of us would feel out of place. In terms of priorities, I’m not sure how that will play out. 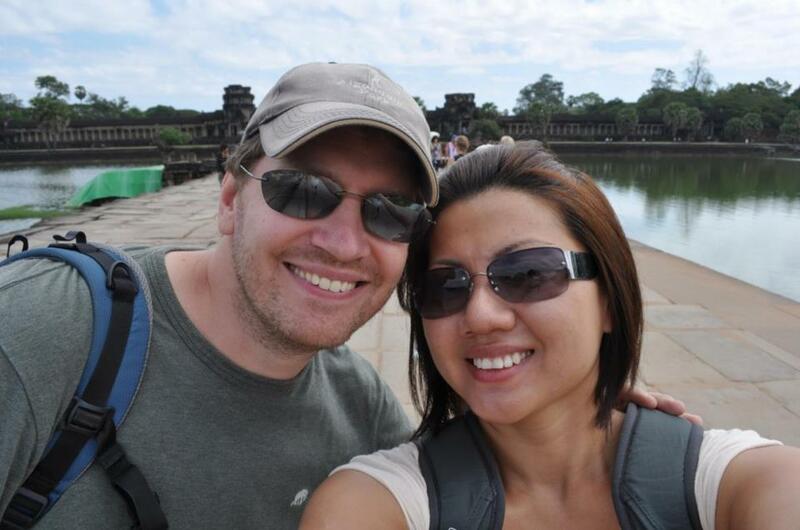 When I set out, I really wanted to make a strong thrust into the digital nomad lifestyle. However, I’m not sure if Susana has the same interest in perpetual motion. We also talked about possibly changing countries permanently if any place we visited captured our hearts and we thought it viable to change. I’m not sure any have so far but we’ll see what the rest of the trip holds. Susana: Peter and I were good friends for about 10 years before we became a couple, which means we know each other really well and generally really enjoy each other’s company. We had friends who wondered how we would get along being together 24 hours a day but we’ve actually gotten along really well throughout our trip so far. We’ve learned when to give each other space and when to pursue separate interests. I didn’t have any fixed goals other than to get out and see the world. It is something I’ve dreamt of for years. For me, whether we achieve a digital nomad lifestyle or find inspiration for new careers/ventures is all gravy. I certainly have my eye out for new opportunities and places to settle but I don’t consider it a failure if we end up going home to Toronto and finding regular jobs. Peter is right in that I’m not keen on permanently being as nomadic as we’ve been on the trip. I would love to live in other countries but I would like to settle somewhere for at least a few years before picking up and going again. The travel blogging world is getting ever more crowded. How do you make your blog stand out and what tips might you offer to other travel bloggers looking to do the same? Peter: I’m probably the worst person to give advice on this matter. We avoid flagrant self promotion as much as possible in favour of trying to build readership organically and authentically. I prefer this approach as it feels closer to how I would like to engage a blog as a reader. Promotion and sharing is important but hitting someone over the head a million times to get more “likes” drives me crazy. If you would like to stand out, I think it takes patience and a serious effort to improve the quality of what you produce. Quality content matters significantly more than quantity and I’ll be the first to admit that I have been learning this lesson over the past 8 months of travel. So advice to others (and myself included) is focus on quality and making your content as good as it can be. Readers will find you without being force fed Facebook “Likes” and Tweets. Susana: As Peter said, we’re not big self promoters. I don’t worry about the number of Facebook likes or twitter followers we have. I’m interested less with numbers than with engagement. I love it when people comment on our blog or Facebook page, reach out to us via email or twitter. That connection with people is what interests me. In the end, I think what sets anyone apart is a unique point of view, good writing, and content that touches and connects with people. I’m still trying to find my voice with every post I write. One thing I’ve enjoyed about your blog is how you’ve reached out to others involved in travel, be it bloggers or those on the tech side of travel. Have the connections you’ve made enriched or helped your travel experience? Peter: The blog as a whole and the connections we make through it enrich me personally. They open random doors and lead me down different lines of thinking. In that way, our website has been very similar to our travelling; random and with a curious mind looking to explore. I think it has provided some mental exercise and filled some personal needs I have to document and share the trip as well as just letting me learn more about blogging while on the road. But we haven’t walked up to the Four Seasons front desk yet and said “Hey, we’re Always Twirling! I’m sure you’ve heard of us since we’re kind of a big deal. How about a free room!”. In that sense, the rewards of the blogging have not been financial. Susana: I’d like to think that we long term travellers are a bit of a unusual breed, so I love it when we get to learn about the experience of other travellers. These interviews not only satisfies our natural curiosity about others on the road, it also gives us ideas about place to explore and ways of travelling that we hadn’t thought about before. What’s on the horizon? Do you see yourselves becoming fully location-independent? Peter: We are heading down to South America. Probably until Christmas time or so. From there, I don’t honestly know yet. I have some thinking to do around this and so does Susana. The next couple of weeks should allow us to digest the past 8 months of travel, look at some options and make some kind of decision around what we want to focus on for the next 6 months or so. Do we keep pushing the blog and get serious about online revenue streams? Or just enjoy the trip and look for traditional employment options back home in Toronto. I’m honestly not sure just yet. In either case, I know that travel and the way I travel will never be the same. Susana: As Peter said, we’re headed down to South America, where I will hopefully get my Spanish back up to snuff. Becoming fully location-independent will depend on what opportunities we encounter/create over the next 6 months. I genuinely don’t know where it will all lead but I’m excited to find out. Even if we come home and end up in regular jobs, I know that seeing the world will always be a priority for us and we’ll find our way to somehow keep on twirling. A big thanks to Peter and Susana for sharing their thoughts. You can follow them on Facebook and Twitter too. Thanks very much for interviewing us! You’re very welcome. Really enjoyed your responses, have a great time in South America.